Our networking team has extensive experience in designing and installing copper cabling, data room assembly, and networking equipment installation. 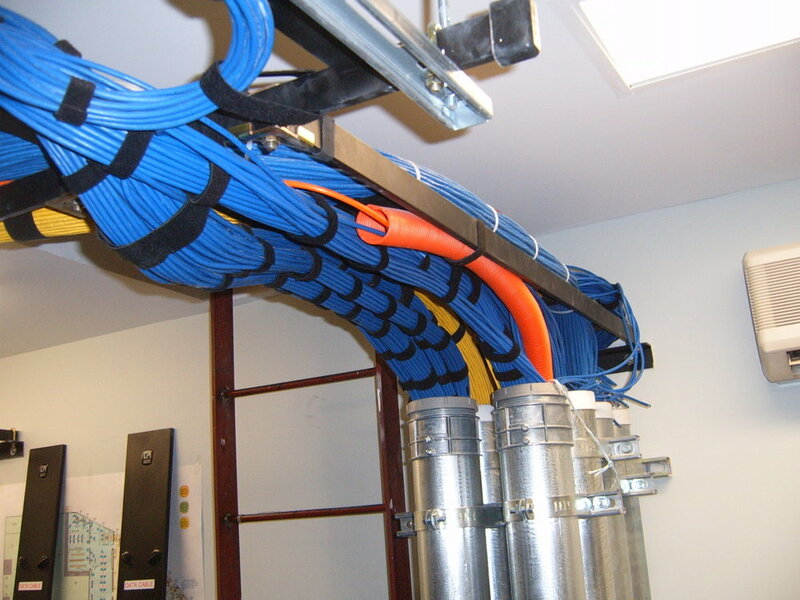 Our technicians have years of experience designing data cabling systems to ensure maximum efficiency. After a plan is designed, we are able to run all necessary cabling, terminate, test, and certify all network connections are made and industry standards are met. Our team always completes these tasks in a cost effective and quality driven manner. We specialize in copper, horizontal, backbone and fiber optic cabling that is compliant with all ANSI/TIA/EIA and BICSI standards. Contact us today to discuss your needs and obtain a FREE quote for your cabling project! Emtek has a vast array of experience with respect to working with network directors, engineers, project managers, architects, engineers, and end users to design, install, and implement data network and related aspects into enterprise organizations. We are experts with respect to WAN, LAN, and wireless network solutions. This experience extends from network room clean up, to ground up network installation, to expansions on existing systems, and relocation solutions. We place an emphasis on installing a redundant, reliable network solution that is quality driven for easy future troubleshooting. Our project managers are experts in reviewing prints and implementing our proven processes to ensure your company will receive the best possible quality for your dollar.